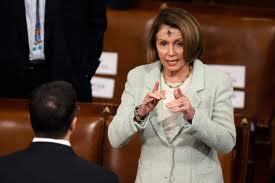 Nancy Pelosi pretends to be Catholic. Democrats are Godless. I don't care how many of them wander around wearing ashes on their foreheads (Ahem. Nancy Pelosi and John Kerry). Ann Coulter wrote one of my very favorite books on the topic, Godless: The Church of Liberalism; and Sen. Steve Fitzgerald made mention of the fact during his campaign for office. Anyone whose ever actually done more than thumb through their Bibles knows these things to be true. Anyway, so it was with a lot of laughing that I read a Facebook posting of Rep. Paul Davis. He is up in arms about a Capital Commission prayer list that includes the line, "target prayer for dark spiritual areas of Southeast Kansas, Kansas City Kansas and North Johnson County." This is truly offensive. As a lifelong resident of Lawrence, I can say firsthand that it is a place rooted deeply in spirituality, where caring for your neighbors is BOTH practiced and preached. I guess the part that amuses me the most about Davis' post, and the knee-jerk liberals pretending to be offended that their "spirituality" is being questioned, is that the far more offensive part of the prayer list is the part essentially seeking prayers for the Governor's agenda. Apart from issues of great moral concern (ahem. Yes, I'm talking about the not-so-moral practice of ripping unborn babies from the womb and dumping them in garbage cans.) I would feel petty asking God to intervene on something that seems so small time-y, like judicial reform. But I'm no theologian, and I personally believe the conversations between individuals and God are largely a private affair. However, of all the things to be offended by, praying for peoples who are less likely to be know God, based on a whole host of things including the fact that they are Democrats, is hardly worth getting oneself all huffy. If I was a Democrat, which thankfully, I am not; or easily offended, I think I'd probably be much more offended about praying for a certain (not really moral-related) policy to be enacted than I would be over someone (gasp!) wanting to pray for me. Side note: I fully support the Governor's proposal for judicial reform. It's just not on my personal prayer list.